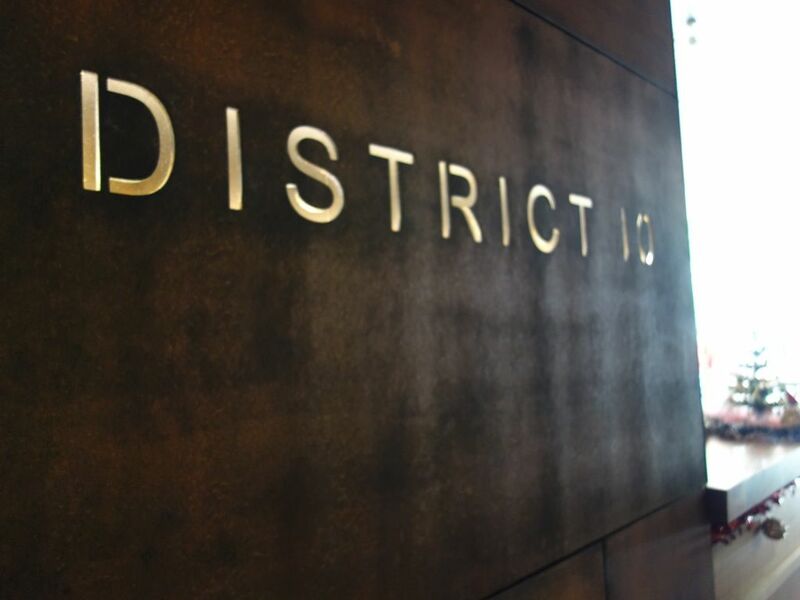 If you frequent the Robertson area, you would probably have seen or heard about District 10 at UE Square. 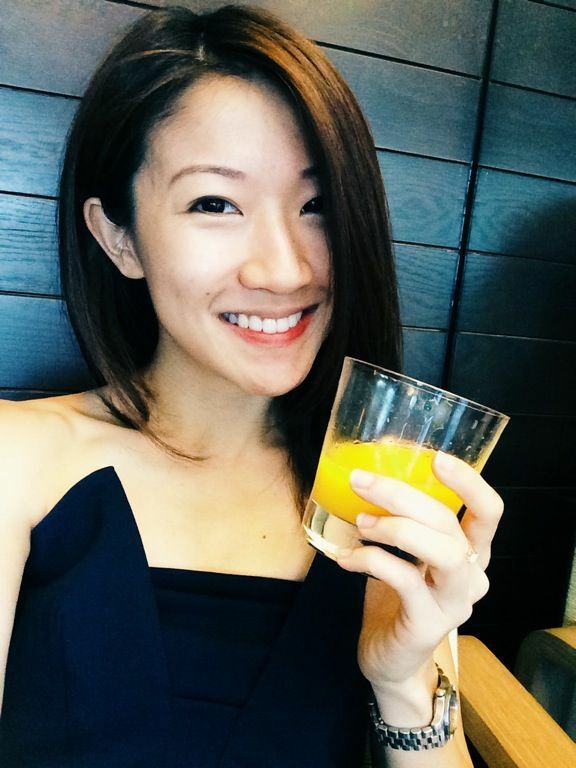 My impression was that it is a cool bar that does drinks and the usual bar grub and hence it piqued my curiosity when i was invited to brunch by the nice folks at District 10. When i stepped into the restaurant, i noticed that the decor has changed. The place is now bigger, brighter and certainly classier. The direction has been steered towards a gastrobar concept with separate indoor and outdoor space. The al fresco area provides a casual ambience for customers who would like to chill out with some bar bites while the Dining Room provides a more elegant environment and cuisine. What is brunch without some eggs? We had the District 10 Eggs Benedict ($16). I was a little confused because they turned out to be Eggs Florentine. Anyhow, lovely poached eggs on fluffy toasted muffins with a nice crisp on the outside. 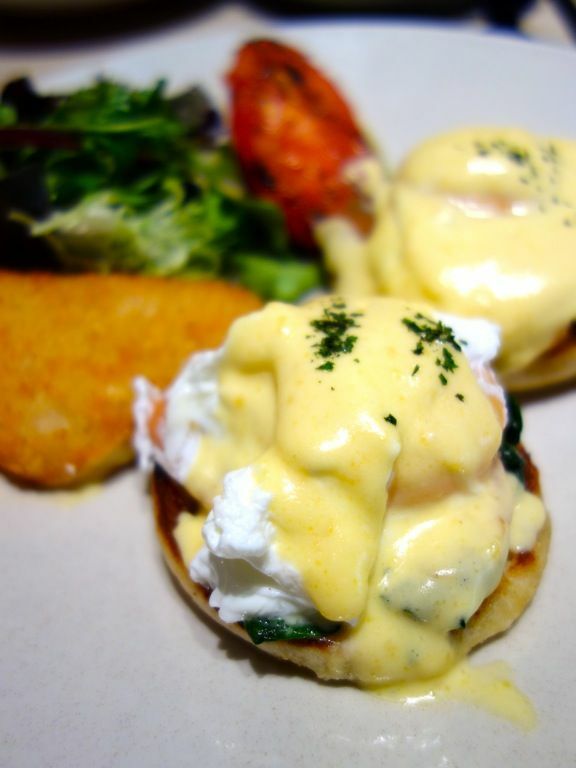 I found that the hollandaise sauce was well balanced with the flavors from the sautéed spinach and smoked salmon. 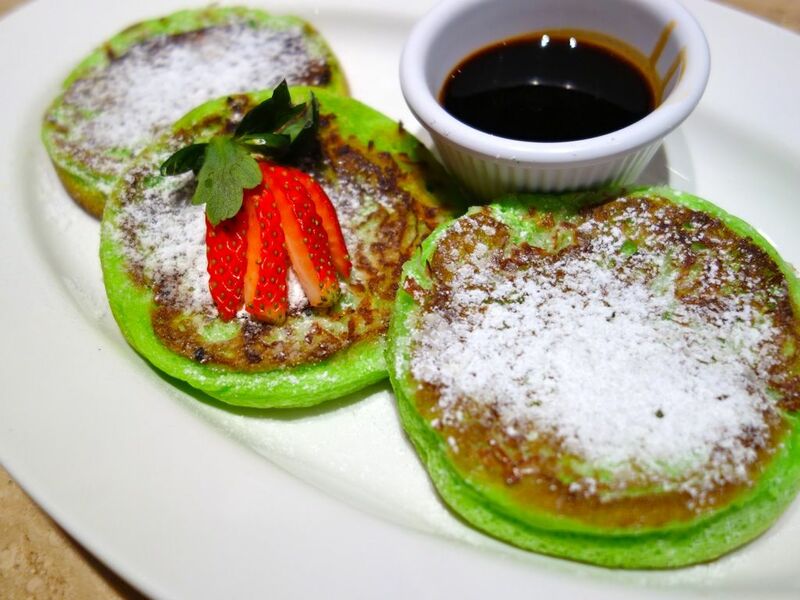 We had the interesting Pandan Coconut Pancake with Gula Melaka Syrup ($9) which tasted like the traditional Malay kuehs. The pancakes are on the dense and chewy end with crispy shredded coconut on top (the browned parts). I couldn't stop soaking the pancakes into the brown sugar syrup. Lovely. But only if you like kueh. Next, we moved on to the heavier items. 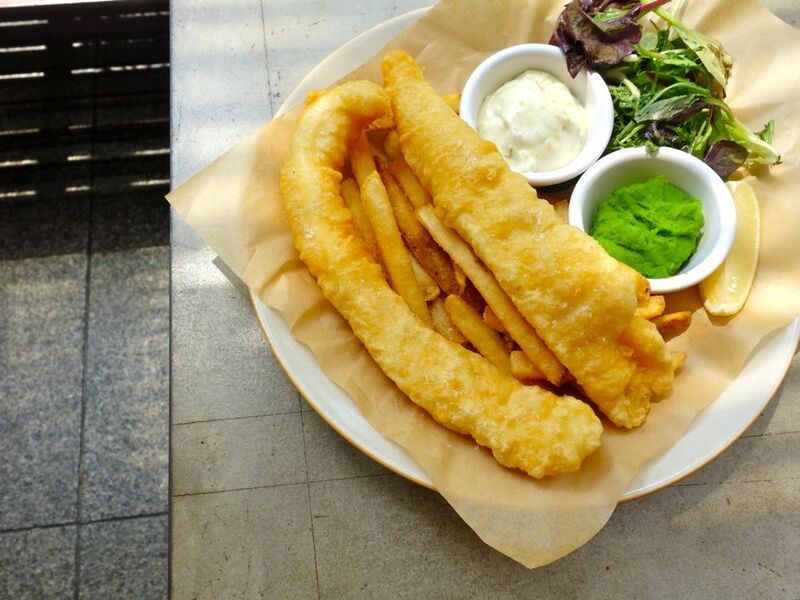 The Hoegarden Battered Fish & Chips with mint mushy peas and tartare sauce ($22). The fish was satisfactory crisp but had its limelight stolen by the amazing natural cut fries. Hell they can be a main on their own. Love the salty batter! The District 10 Brunch Beef Burger ($20) comes paired with the fries too. Hooray! 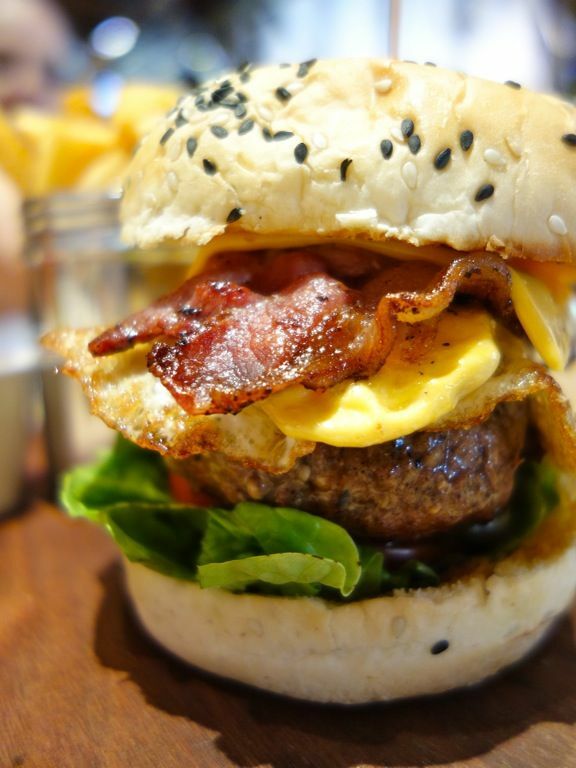 Charcoal-grilled Black Angus patties topped with fried egg, crispy back bacon, cheddar cheese on a sesame bun. You can never go wrong with the egg bacon cheese combination but i thought the patty was a little dry. Well, at least you know they don't use unknown cow bits in this one. 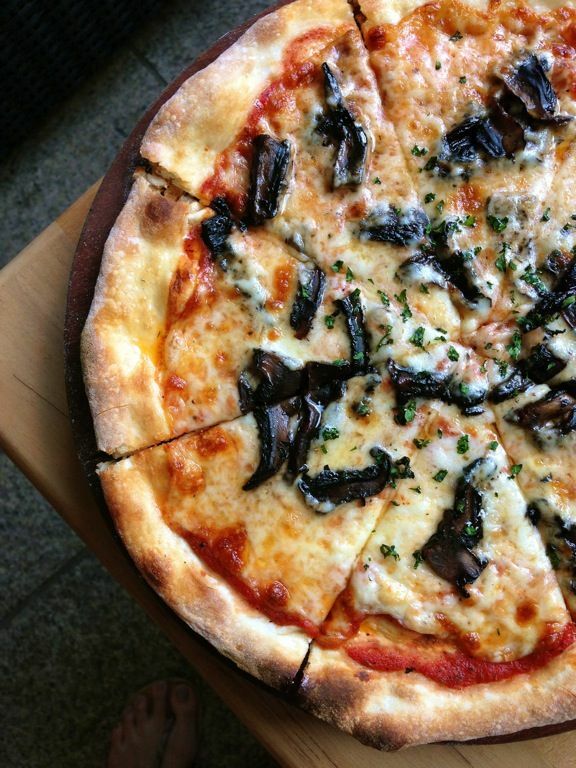 Do not miss the thin crust pizzas by Italian Chef Luca Pezzera. Love the crust that crackles with each bite. The Portobello Mushrooms pizza ($26) with Portobello mushrooms and a generous serving of truffle oil on top was earthy and delicious. 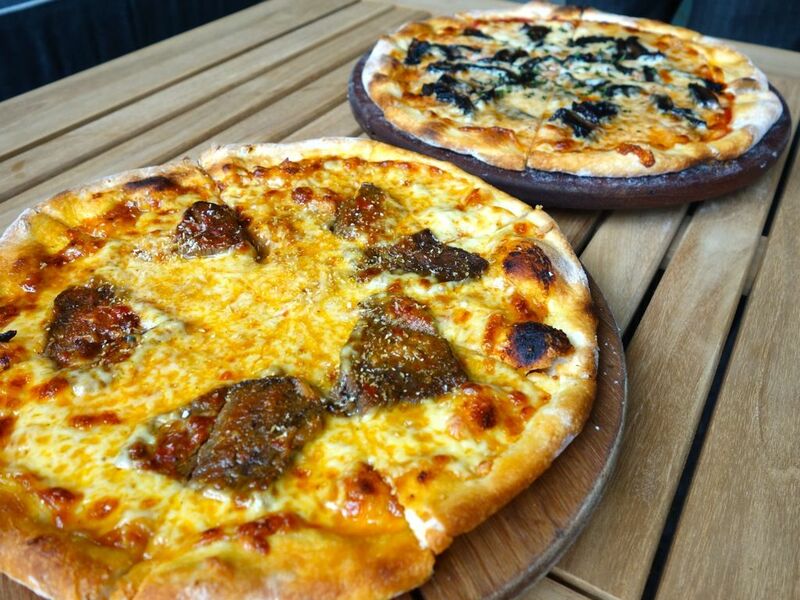 For something with a local twist, there's the Wagyu Beef Cheek Rendang pizza ($29). 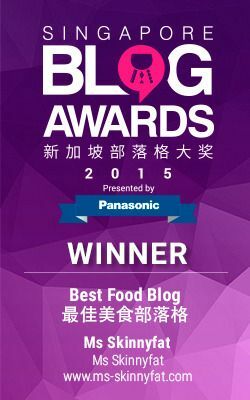 The meat was flavorful but somehow it was very gelatinous. The sauce however was pretty spot on for an Italian creating a local favorite. Thumbs up to Chef Luca but could we have more toppings please. 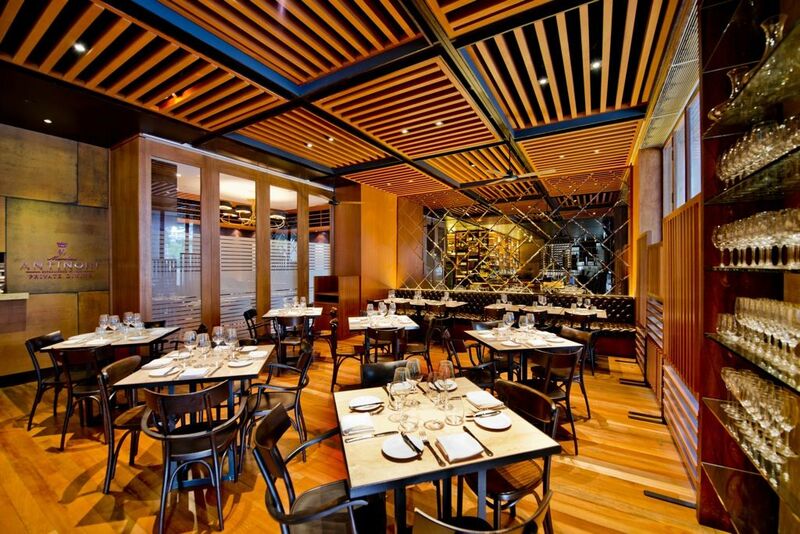 For those looking for something less casual, the Dining room offers a more refined menu. Start with Pan-fried goose liver with wild berries sauce and balsamic syrup, and Burratina cheese with peas, sun-dried tomato puree and extra virgin olive oil. Then move on to Grilled Kurobuta pork chop and homemade angel hair pasta with lobster, peperoncino, basil and fresh tomatoes. Pair your meal with some prestigious European wine labels such as Antinori and Tenuta. 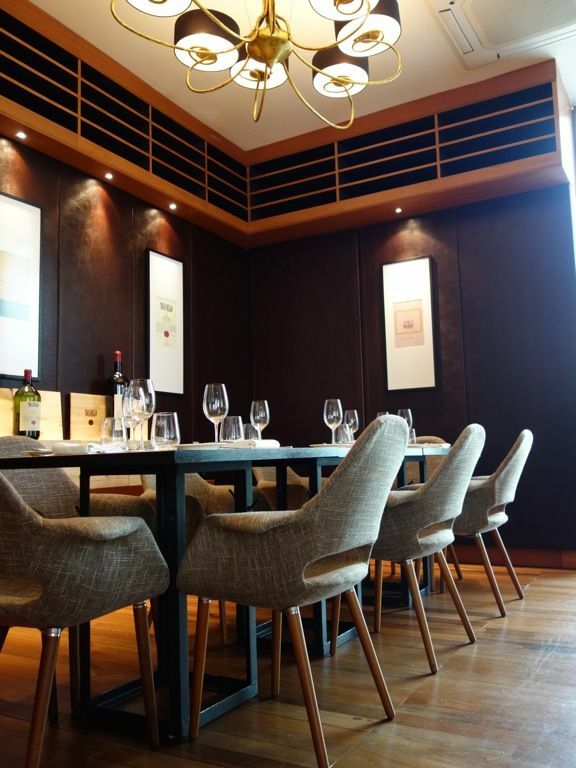 For a more intimate setting, you could also book the private room which seats a small party of 12. There is also an adjoined alfresco lounge for your party's use. Thank you District 10 for hosting the brunch.